During his webinar, Fern provided an insightful and practical presentation on the relationship between diversity and inclusion and their potential impacts on business outcomes. 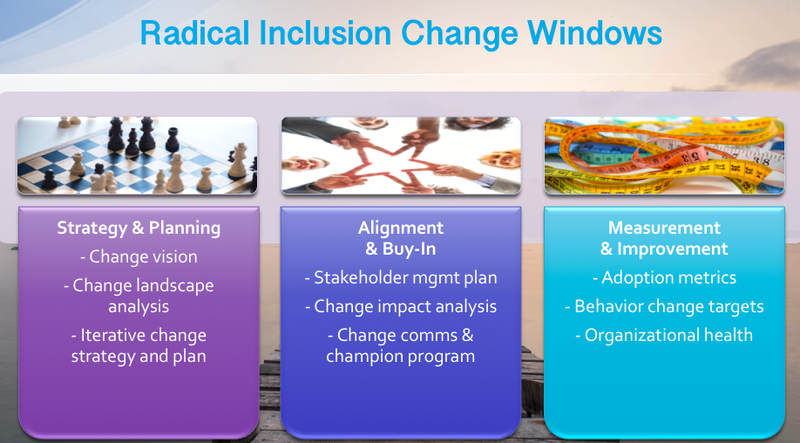 He particularly focused on the advantage of using change initiatives to cultivate inclusive practices that, in turn, lead to more diverse corporate cultures and better business results. There are many definitions of change. To Fern, organizational change is “an organizational journey from some current state to an envisioned future state.” In elaborating on this definition, Fern explained that the journey involves managing complex operational and people transitions, all with the purpose of achieving targeted business outcomes. In discussions of organizational change, it’s common to hear that 70 percent of change efforts fail. While this statistic hasn’t been validated, research has found the success rate is likely not much higher. According to IBM, for example, only 41 percent of change efforts are considered successful in meeting all of their original objectives. Waggl’s own pre-webinar pulse survey found similar results: Only 38 percent of the survey participants said that their organization’s past change efforts were well managed, with everyone who was impacted by the change feeling involved and valued. According to the previously cited IBM research, the most frequently cited reason for a change effort’s failure was the challenge of changing people’s mindsets and behaviors. The second biggest obstacles was changing the company culture. The hippo phenomenon is when organizations focus change efforts around the leader’s views, failing to pay equal attention to more diverse views from across the organization. 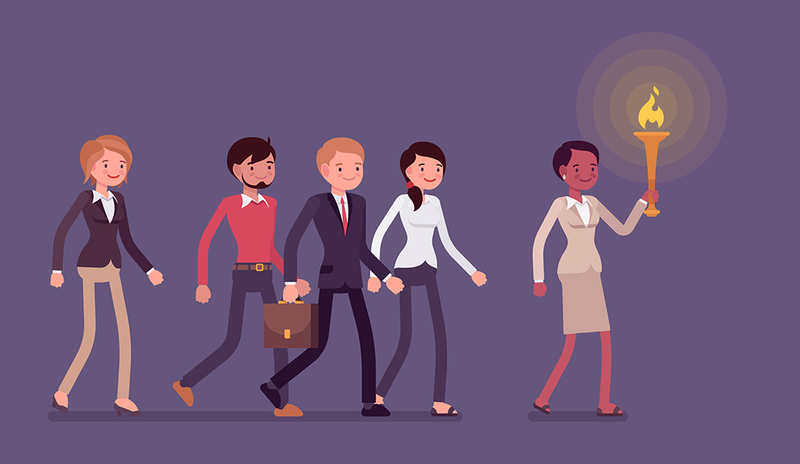 These diverse perspectives are the ones that can highlight blind spots that organizational leaders might not recognize on their own — which means they are crucial for the success of change efforts. Many companies speak of the importance of diversity, but diversity’s value is only realized through inclusion — that is, when systems are in place to elevate all voices. In elaborating on how to create a system that encourages the participation of more voices in a change effort, Fern pointed to the value of technology. He believes that technology is invaluable if organizations want to include more voices in their decision-making in meaningful ways. Technology is here to make work more human, and that includes allowing leaders to hear and consider more diverse perspectives when planning and executing change efforts. Without the right tech tools, it’s difficult — if not impossible — to access employee voices while honoring and valuing the distinct views of others. A version of this article originally appeared on the Waggl blog. Bridget Zapata is a marketing specialist at Waggl, the most human way for organizations to crowdsource feedback. Waggl is a simple way to surface and distill real-time actionable feedback. Named after the dance that bees do in a hive to transmit important information very quickly, Waggl lives at the intersection of two organizational realities: Companies want an engaged workforce and employees want to know that their opinions count. Waggl goes beyond the traditional survey by offering an extremely easy way to listen to many voices at once within an organization for the purpose of making it better. Waggl’s real-time listening platform creates a transparent, authentic two-way dialogue that gives people a voice, distills insights, and unites organizations through purpose. With a highly seasoned management team and a board including esteemed executives from Glassdoor, Success Factors, Hirevue, and Coupa, Waggl is an innovative industry leader helping companies like Glassdoor, Juniper Networks, Apollo Education Group, Lear Corp., VISA, Lifelock, Sutter Health, and Ellie Mae succeed by building a listening culture. For more information, please visit: http://www.waggl.com/.